This state-of-the-art Espresso Machine makes so much more than espresso! 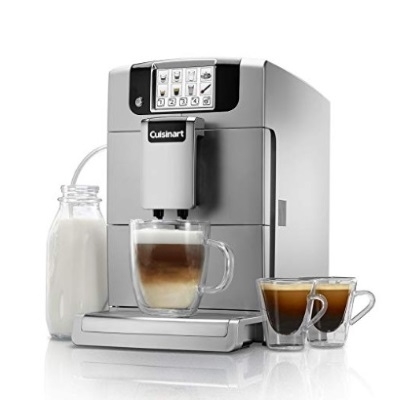 With its intuitive touchscreen controls, brewing barista-quality espresso, cappuccino, latte, or coffee - even steaming milk - is effortless. Grinds beans, brews, tops off beverages with velvety foam and lets users customize each cup with grind size, milk volume, brew temperature, and flavor strength settings that are saved for up to four users.